1. 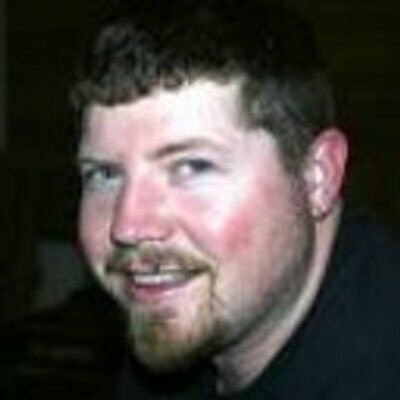 Set up the http://ocspug.org site. Because everyone has to have a web address to hang their hat on. 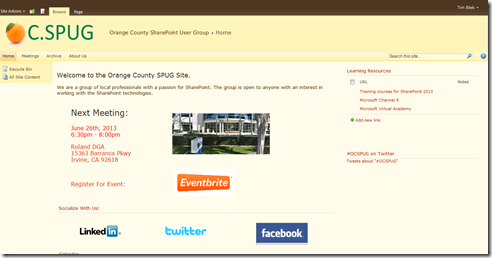 Now this site is very “sharepointy” on purpose, after all we are a SharePoint user group. That being said in the next couple of months I’ll probably add a few tweaks here and there to the branding. I recently had a project where I needed to incorporate the Twitter Bootstrap into SharePoint, so that may be the next enhancement on the books for the site. After all we are trying to promote the SharePoint framework as a mobility platform at the next OCSPUG meeting. 2. 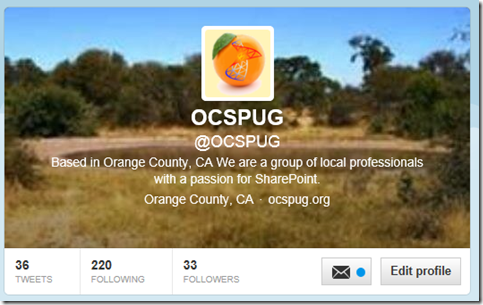 Started to actively promote the LinkedIn Group: Orange County SharePoint User Group. It’s been there for a while, go check it out. The last couple of months discussions are mostly promotional posts and “Hey, is there a meeting this month?” questions, but hopefully we get a little more interactive. I even posted a poll question to get some feedback about what kinds of presentations members would like to see at the monthly meetings. 3. Twitter Account. Everyone needs one of those. As of this writing there are 33 followers! 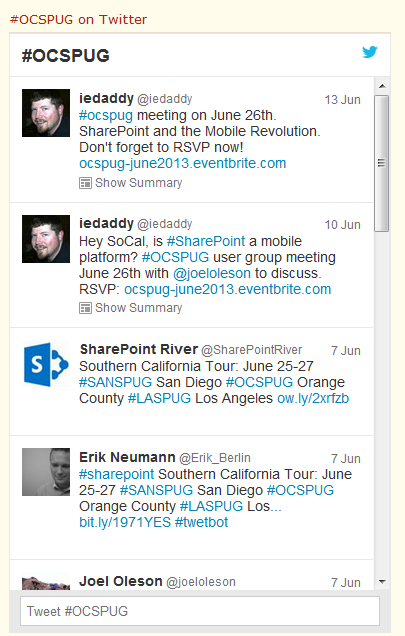 Now, one of the other things I did with Twitter was use a Twitter webpart on the http://ocspug.org website to query for the #OCSPUG hashtag, so that when people tweet with that hashtag it will show up on the OCSPUG homepage. 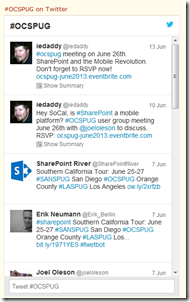 At some point a blog post will follow on how you can add your own Twitter feeds to a SharePoint site. 4. Facebook! Because the Internet is Facebook to a lot of people. Not quite sure what to do with the OCSPUG page, we only have 11 “likes” so far. Seems like the group is more geared towards the LinkedIn framework of professional contacts and Facebook is more of a social “friends” hangout, but maybe we’ll figure out what to do with it eventually. At the very least it’s another channel in which to reach people interested in SharePoint and connect with our group. A lot of this, while not a first time experience as I’ve used all these social tools before, is a learning experience for me to focus these channels for an expected outcome of promoting the OCSPUG user group and ultimately getting the word out with the goal of increasing attendance at our monthly meetings. I think it would be interesting over the next couple months to track attendance and see which digital channels (if any) are effective in getting people to swing by and check out the OCSPUG meetings.